This 2005 Schecter Diamond Series Banshee Electric Guitar w/ Gibson Padded Gig Bag has been gently owned and is in very good condition with light, normal wear. A few light surface scratches and tiny pressure dimples on the body can be detected upon close inspection, but it’s overall very clean! 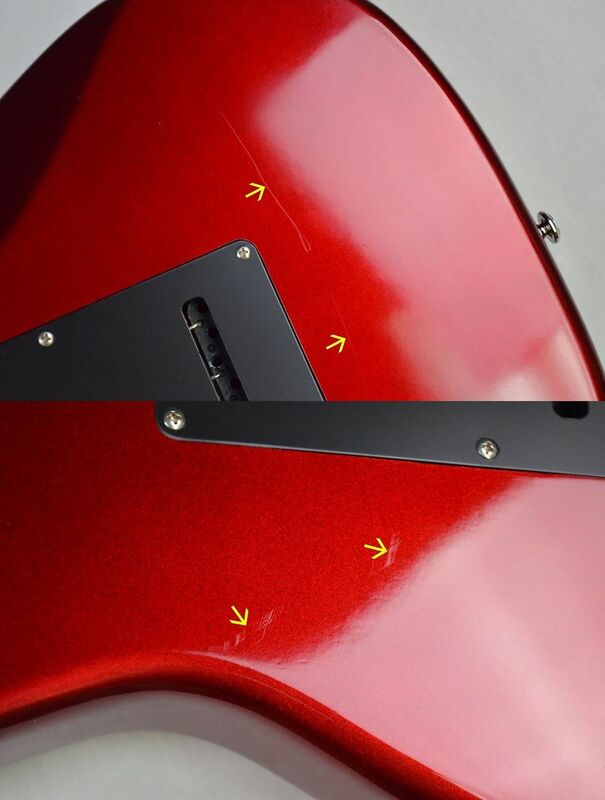 Noticeable scratches on the control plate can be found, but chrome hardware is in overall excellent condition. Tremolo arm not included. Neck is straight as an arrow and frets show little to no wear! Looks, plays and sounds fantastic! Gibson padded gig bag is in excellent shape! We ask that you observe its pictures closely and invite you to contact us with any questions you may have.